When setting up the menora, one is faced with several choices: Where, preferably, should the first candle be set up on the first night, the second on the second night, etc., and which candle should be lit first? Even though one fulfills the mitzva according to the custom of mehadrin min ha-mehadrin no matter how he lights, the ideal practice is as follows: On the first night, one sets up the candle on the right side of the menora (from the perspective of the person facing or lighting the menora), because the right side always takes precedence over the left. On the second night, one sets up the new candle to the left of the first one, and after reciting the berakhot, one lights the new candle first, followed by the one to its right. There are two reasons for this. 1) It is preferable to begin with the new candle, which symbolizes the increasing greatness of the miracle. 2) After lighting the leftmost candle, one will have to turn to his right in order to light the next candle, and the Sages teach that when one turns, it is preferable that one turn to the right (Yoma 15b). On each subsequent night, one adds a new candle to the left of the candles he lit on the previous nights and lights the new one first. Then, he turns to the right and lights the rest. When reciting the berakhot, it is proper to stand to the left of the menora so that the closest candle will be the one he lights first. This way, one avoids skipping over the other candles in order to light the new one (sa 676:5, mb ad loc. 11).
. This custom is cited in sa 676:5, Darkhei Moshe ad loc. 2, Sha’ar Ha-kavanot of Arizal, Kaf Ha-ĥayim ad loc. 31. 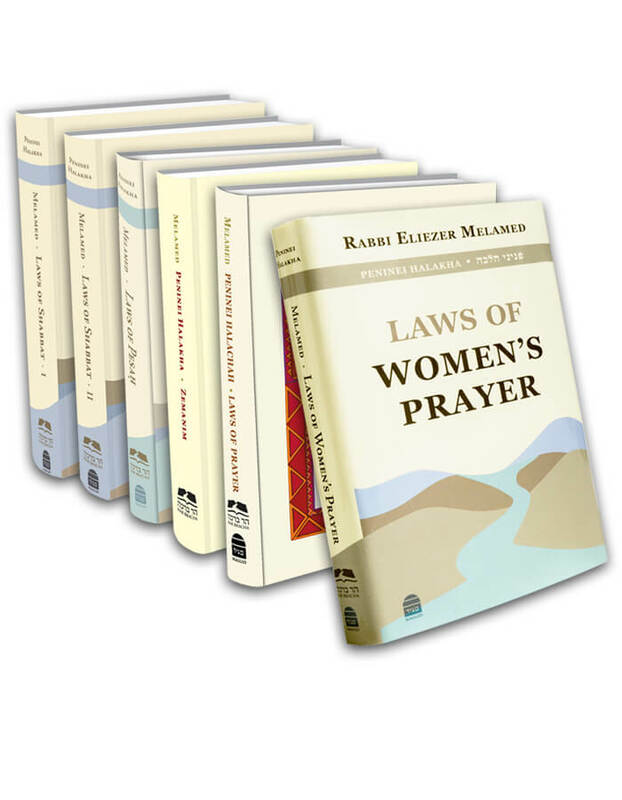 The halakha that one should stand next to the new candle on the left is stated explicitly in Ĥayei Adam ad loc. 154 and mb ad loc. 11. 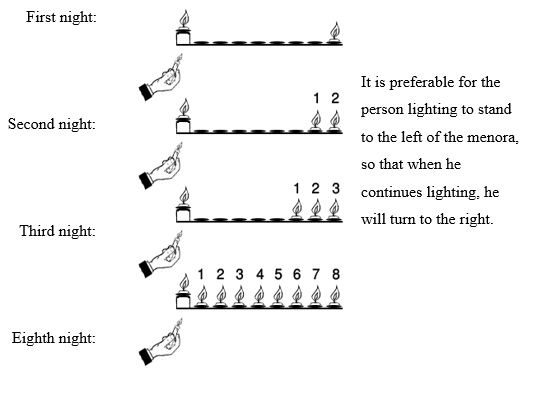 I would add that by standing to the left of the candles, the person lighting avoids being considered one who turns to the left when lighting the first, leftmost candle, because he is simply lighting the candle closest to him; and from there, he turns to the right. There are two additional customs that we will mention. 1) Maharshal and the Vilna Gaon maintain that one should first light the candle closest to the doorpost (whether one placed the candles to the left of the doorway, as one should do, le-khatĥila, or to its right) and continue lighting the rest from there. They believe that one should start with this candle because it is the one that fulfills the main requirement of the mitzva, while the rest are lit in order to follow the custom of mehadrin. This, in their opinion, is more important than lighting from left to right. 2) Taz’s opinion is the inverse of the accepted opinion. He maintains that turning to the right means that one begins to light on the right side and then continues to the left. According to him, one lights the leftmost candle on the first night, because it is the closest to the left doorpost. mb and bhl ad loc. elaborate on these opinions and state that one fulfills his obligation no matter which way he lights. This entry was posted in 12 - Lighting the Chanukah Candles. Bookmark the permalink.